Before beginning her term as an Associate Dean of Teaching and Learning in the Faculty of Arts and Science, Dr. Atkinson was the Undergraduate Studies Chair in the Department of Psychology, where she was responsible for the design and implementation of PSYC 100. Dr. Atkinson is responsible for overseeing the Faculty's University Quality Assurance Processes, experiential learning, and learning outcomes. She also supports units in their efforts to enrich curriculum by incorporating historically underrepresented identiies, experiences, and perspectives, and promotes the use of universal design to ensure access for all students. Dr. Atkinson’s research is two-fold; though her primary interest is on the assessment and treatment of female offenders, she is also interested in strategies to increase active learning in the university classroom. Learn more about Dr. Atkinson’s research here. Dr. Crow’s research interests lie in the areas of feminism, aging, and technology, the ways in which they intersect, and specifically the various impacts of digital technology. In addition to her research, Dr. Crow is a co-founder of the Mobile Media Lab and of Wi: A journal of Mobile Media. She is also currently a co-principal investigator on the ACT Project (Ageing, Communication, and Technologies). Learn more about Dr. Crow’s research here. 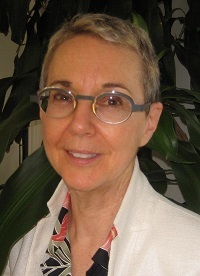 Dr. Lynda Jessup, Associate Dean (Graduate Studies) holds a PhD from the University of Toronto. Promoted to professor in 2011, she is a member of Department of Art History and Art Conservation, with cross appointment to the Department of Film and Media and affiliated membership in the Cultural Studies Program, of which she is former director. Active in both teaching and research, she a former Canada-U.S. Fulbright Scholar and holds both the Alumni Award for Excellence in Teaching and the Award for Excellence in Graduate Student Supervision. Dr. Jessup’s current responsibilities in the Faculty of Arts and Science include enhancing the integration of graduate education in the Faculty of Arts and Science and ensuring that graduate enrolment targets are met. She also develops and implements strategic initiatives that enhance the profile of graduate programs in the Faculty and collaborates to develop international oportunities for graduate students and faculty at Queen's. Dr. Jessup’s research is in the field of visual cultural studies. Her practice is interdisciplinary, focusing on Canadian and Native North American visual culture in exhibitions, the history of museums and collecting, art historiography and, more recently, the role of art exhibitions in advancing Canadian foreign policy and international cultural relations. She has published books and articles in her area of research, most recently as co-editor of Negotiations in a Vacant Lot: Studying the Visual in Canada (2014). Her current book project is a study of representative exhibitions of Canadian art, which focuses on the ways in which national art histories function as an operative part of the de-nationalizing processes of globalization. Learn more about Lynda Jessup's research here. Originally from the Department of Chemistry, Dr. Mosey currently serves as the Associate Dean of Research, a portfolio which includes facilitating the intensification of research within the Faculty of Arts and Science. He is also responsible for coordinating and guiding strategic research activities within the Faculty, and supports researchers in securing funding and obtaining research awards..
Dr. Mosey has taught courses on general chemistry, quantum mechanics, computational chemistry, and numerical methods, and also oversees students in the Mosey Group, where his research focuses on chemical simulations, tribology, electrocatalysis, and theoretical and computational chemistry. Learn more about Dr. Mosey’s research here. Dr. Gordon Smith is the Vice-Dean of the Faculty of Arts and Science. Previously, Dr. Gordon Smith was appointed Interim Dean in the Faculty of Arts and Science in July 2016. 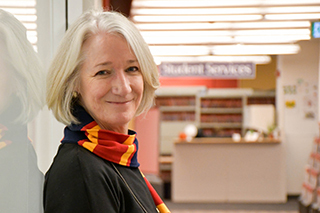 Prior to joining the Faculty office, Dr. Smith was Director of the School of Music (2003-2006), was appointed Associate Dean in the Faculty of Arts and Science at Queen’s in 2006 and, from 2013, served as Vice-Dean in the Faculty. The Vice-Dean’s portfolio includes faculty relations, in particular, renewal, tenure and promotion, merit, the appointment of Department Heads, and faculty renewal, including all aspects of the processes related to hiring tenure-track and contractual faculty. 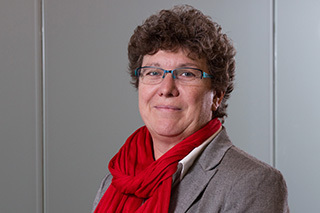 The Vice-Dean also oversees the implementation of the Queen’s/QUFA Collective Agreement, including workload documents and other matters concerning faculty relations. In relation to these responsibilities, the Vice-Dean provides leadership with respect to equity, diversity, inclusion, and Indigeneity across the Faculty. The Vice-Dean also assists with Faculty Advancement priorities, with particular emphasis on working with Arts and Science alumni and building philanthropic successes in western Canada. Dr. Smith received his BA, MA and PhD in musicology from the University of Toronto. He also holds the ARCT diploma in piano performance. Dr. Smith’s research is focused on historic and current issues of representation in Canadian ethnomusicology. He was National Advisory Editor for the 7th edition of the New Grove Dictionary of Music and Musicians (2001), and a contributor to The Garland Encyclopedia of World Music: The United States and Canada (2001). He has published articles in various journals, including The Canadian University Music Review, World of Music, American Music, Les Cahiers de la Société québécoise de la recherché en musique and The Canadian Journal for Traditional Music. He was also the editor of the Canadian Journal of Traditional Music from 2000-2006, oversaw the journal's transformation to a fully peer-reviewed publication, MUSICultures, in 2007, and was its Editor until 2011. He is co-editor of Istvan Anhalt: Pathways and Memory (McGill-Queen’s University Press, 2001), and is co-editor of Folk Music, Traditional Music, Ethnomusicology: Canadian Perspectives, Past and Present (Cambridge Scholar’s Publishing, 2007), Around and About Marius Barbeau: Modelling Twentieth-Century Culture (Mercury Series, Canadian Museum of Civilization, 2008), and Musical Traditions, Culture and Contexts (Wilfrid Laurier University Press, 2010). More recently, Dr. Smith was guest editor of Perspectives, People, and Places: Essays in Honour of Carl Morey, a theme issue of Intersections (Canadian Journal of Music/Revue canadienne de musique), which was published in 2015. His current research is on music in Indigenous contexts, with particular emphasis on intergenerational connections around music, resurgence and healing in Mi’kmaw communities in Cape Breton Island, Nova Scotia. Dr. Smith was the recipient of a Distinguished Service Award from the University Council of Queen’s in 2015, and is the 2016 recipient of the Society of Composers, Authors and Music Publishers of Canada (SOCAN)/MUSCAN Award of Excellence for Advancement of Research in Canadian Music. Dr. Smith is also active as a pianist, most recently coaching and accompanying student singers as part of a collaborative research project devoted to the songs of Victorian poet, Amelia Opie. 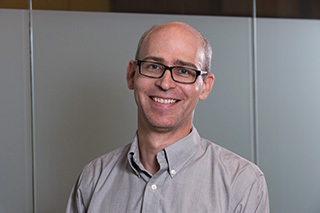 As Associate Dean (Studies), Dr. Stephenson's portfolio includes oversight of the undergraduate operations in the Faculty of Arts and Science, as well as the oversight and implementation of undergraduate academic regulations. The Associate Dean also reviews student appeals or academic integrity cases, and manages complex academic cases involving individual students and faculty members. 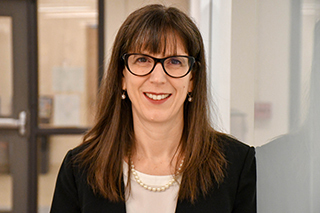 Dr. Stephenson participates in all committees of the Faculty relative to students or programs and liaise with the division of Student Affairs, Student Wellness Services, the Human Rights Office and the Office of the University Ombudsman. The Associate Dean’s portfolio also includes Admission and Recruitment, Orientation, and the implementation of the Senate Policy on Academic Consideration for Students in Extenuating Circumstances. Dr. Stephenson holds a PhD from the University of Toronto, and previously served as the Undergraduate Chair at the Dan School of Drama and Music. Her research is focused on contemporary Canadian drama, metatheatricality, "theatre of the real," autobiographical performance, and performativity in fictional worlds-within. Learn more about Dr. Stephenson's research here.